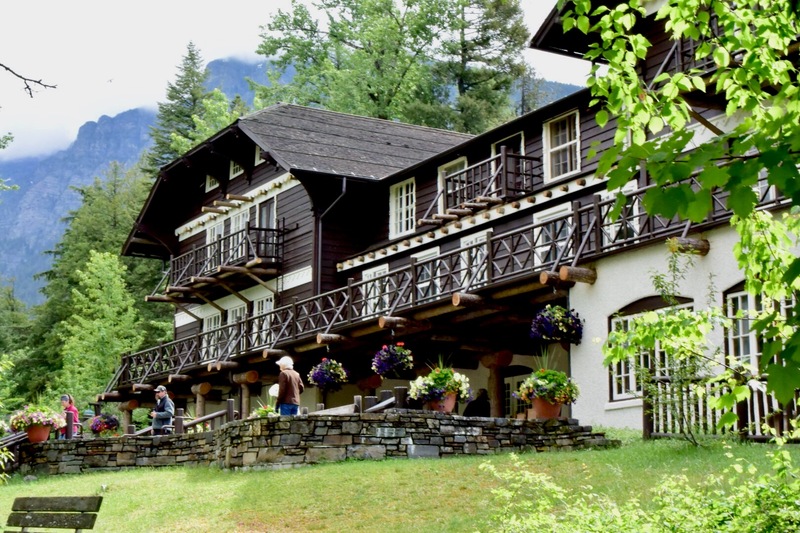 Below is a photograph of the front of the lodge which faces the lake. When it was built it was only accessible by boat. There is an additional image of the chandelier in the main lobby of the lodge. Very unique. The lampshades on the chandelier were originally crafted in 1927 by members of the Blood Indian tribe for the Prince of Wales hotel in Waterton park, Alberta, Canada. 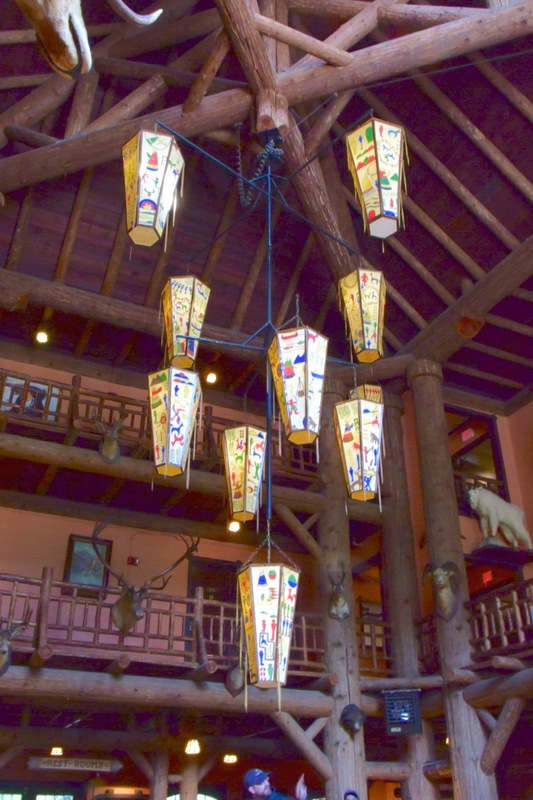 The shades, depicting stories from the lives of Indians in the early 1900s, were moved to the lake McDonald Lodge in 1960. In 1982, a local Montana artist was commissioned to reproduce the shades using the original frameworks.